Looking to purchase a table? Click here. 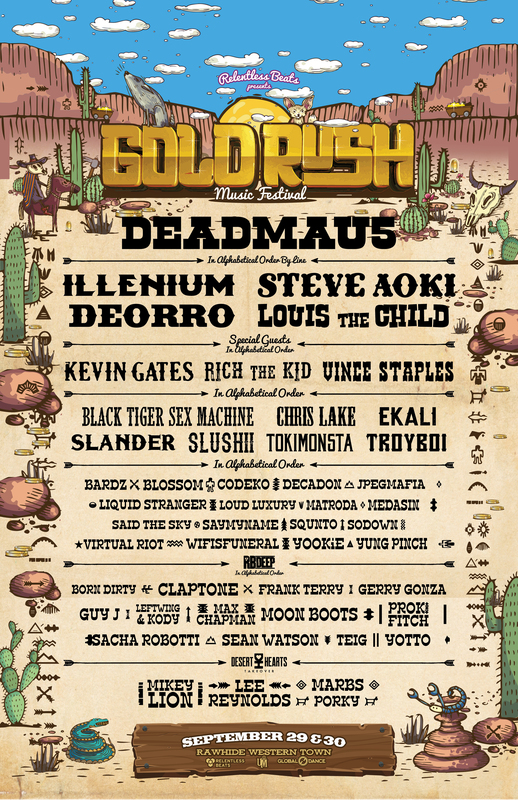 Relentless Beats presents Goldrush Music Festival at Rawhide Western Town on September 28 & 29 in Phoenix, Arizona. Lock in the lowest price by purchasing early! Payment plans are available for weekend passes. 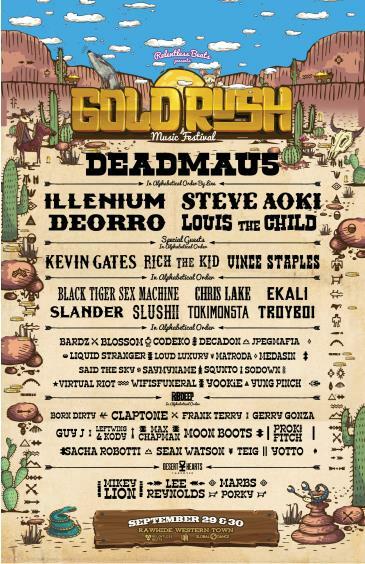 Goldrush will open 4pm to 2am daily and is open to ages 18+.